We offer the best in precision microscopes both new and used, as well as a range of related products and supplies. We're happy to help you find anything you don't see listed on our site -- just ask! Call us toll free at 800-660-9690 or contact us by email. There are many variables involved in selecting just the right microscope for each job. We'll help you select the brand and model that's right for your need. We are dealers for ACCU-SCOPE and Unitron microscopes and for PixeLINK Digital Cameras. Please ask if there's anything else you are interested in! Also ask about our extensive catalog of supplies and lamps. 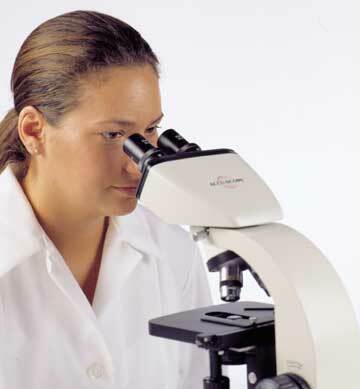 We have an outstanding inventory of used microscopes that are completely refurbished by our staff. We regularly have a supply of different models. Please send us your requests for specific models/makes and other needs and we'll look out for used equipment and/or parts! All our used microscopes are in excellent condition and feature a 1-Year Warranty. Click here to see what's on our shelves, available for immediate delivery.